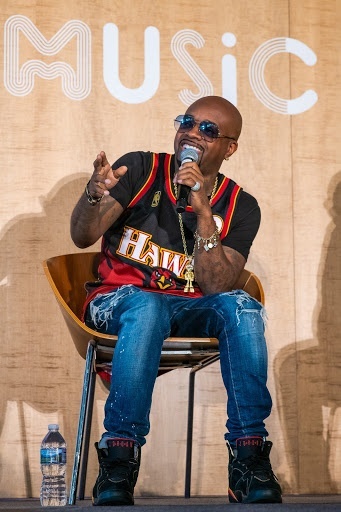 It’s always enjoyable to watch industry veterans sit and revel about their historical pasts and today’s featured panel, The South Got Something to Say, allowed for Atlanta veterans, Chaka Zulu, Hannah Kang and Isaac Hayes III to premiere their podcast monikered with the same title, with an intimate conversation with Atlanta legend, Jermaine Dupri. 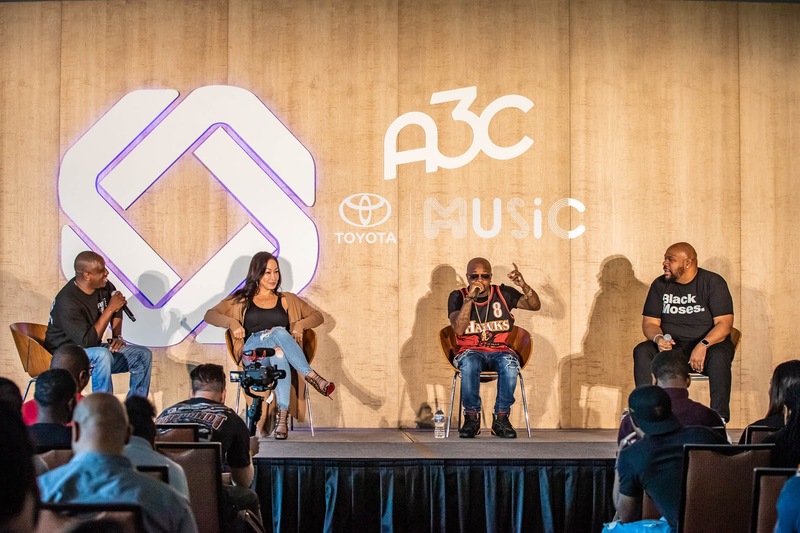 The authentic conversation created an environment for attendees to hear a group of industry friends reflect on their journeys coming up in the city of Atlanta and how the culture and city have shifted since the beginning of their careers. While Jermaine’ story as a native ATLien and young entrepreneur is a conversation familiar with many students of the game, it was his vulnerability in his detailing his beginnings as a breakdancer for Whodini at twelve years old to his struggle with breaking records for Kris Kross in an era where the south was denied a voice in hip hop that drew the Toyota Music Ballroom to a complete silence. 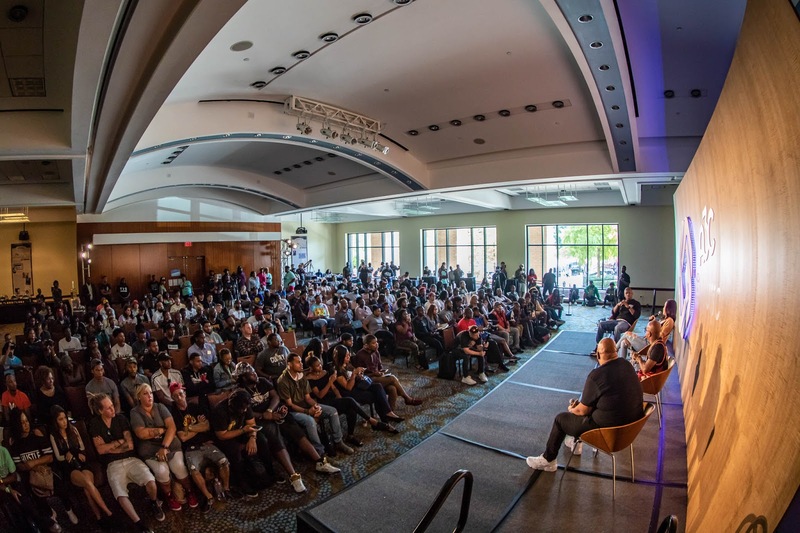 In the conversation led by Chaka Zulu (Disturbing Tha Peace, Culture Republic), Jermaine’s message was consistent in emphasizing the importance of the cultural shift the city of Atlanta has witnessed since his early career where rap was only showcased once a week on Friday nights. Responsible for the careers of Kris Kross, Usher, Xscape and TLC, Jermaine reached feats as a 17-year old entertainment executive and is credited as the youngest producer in history with a #1 single on the Billboard chart. 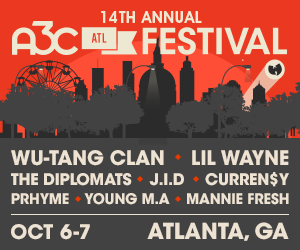 While Atlanta is undeniably the culture hub for America, Isaac Hayes was sure to highlight the that black culture is at the center of Atlanta culture and henceforth the current cultural focus of America. Before the emergence of hip hop on the Atlanta scene, “[it] was a city that had places that had never seen black people before, [but] now [we’re] everywhere.” And while the city is currently thriving as a cultural hub, JD, Isaac and Chaka made sure to give a brief historical lesson of where the city came from. While giving notable mentions to their part in prominent Atlanta nightspots and the night life the city is known for today, their stories and work helped to give the generations that followed the bluepint and motivation they needed. 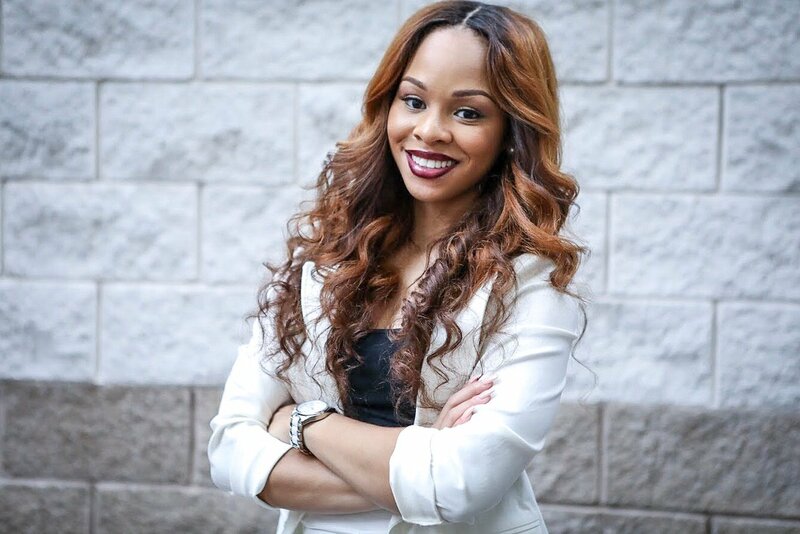 In Hannah Kang’s brief, yet affectionate tribute to Jermaine, she explained how their presence in clubs such as Shark Bar led her to career as a monumental event planner working with the likes of BMF, Bad Boy and Grand Hustle. With roots in Atlanta, Hannah and Jermaine represent how the work of pioneers allow for Atlanta to continue to thrive and as Isaac explained, they have all lend their hands and talents to create a city that “would embrace the culture and industry we need wanted and needed”.